A postal money order may be sent directly to the Seneca County Correctional Facility. The postal order must be made out in the inmate's name and must be issued within 60 days. Deposits to an inmate's Commissary Account may be made directly using the Kiosk. The Kiosk is located in the Bail/Release Lobby at the Seneca County Correctional Facility. IMPORTANT: Additional Fees will be charged for this service. Refer to the Fee Schedule below. You may deposit funds electronically or by telephone directly into an inmate's Commissary Account at the Seneca County Correctional Facility by going to www.smartdeposit.com or by calling 1 (866) 394-0490. You must first set up an account with SmartDeposit before performing any transactions by visiting the SmartDeposit web site (www.smartdeposit.com) or calling 1 (866) 394-0490. You will be given an account number and PIN. You will need that information each time you place money into a Commissary Account. The State and County they are incarcerated in and the inmate identification number in that county. 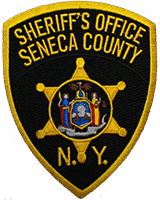 If you do not have the inmate identification number for a Seneca County inmate please call 1 (315) 220-3469. Inform the officer of the name of the inmate and that you need their Criminal History Number (CHN) which is the inmate identification number. For deposits of $0.01 to $100.00 the fees are: Web = $4.95, Phone = $4.95, Credit at KIOSK = $4.00, Cash at KIOSK = $4.00. For deposits of $100.01 to $200.00 the fees are: Web = N/A, Phone = N/A, Credit at KIOSK = N/A, Cash at KIOSK = $4.00.